Ivey Zezulka’s parents describe her as kind, compassionate, and loving! She is always up for anything fun! Ivey is creative, artistic, and athletic, as well as outgoing and optimistic. Everywhere she goes she makes friends and both kids and adults love her. Three summers ago, Ivey was in foster care and her awesome previous foster parents heard about Camp Kudzu from Ivey’s pediatrician. Thanks to the availability of camper scholarships, they were able to afford to send her. She has been attending camp ever since. While in foster care, Ivey was able to continue to have a home at Camp Kudzu. Her foster parents felt as though they had no choice in keeping Ivey involved at camp because she loved it so much. In August of 2018, Ivey found out that her current foster parents were going to be able to adopt her. Her tearful, joyful reaction (if you haven’t seen it, stop what you’re doing and check it out!) went viral across the internet and by November her family was making an appearance on The Ellen DeGeneres Show with Mark Wahlberg. So Ivey is no stranger to the spotlight! When asked what she loves about camp, Ivey told us that her favorite part is that she simply gets to feel like everybody else and that camp has been a meaningful home to her since her first summer. That deep insight, along with Camp Kudzu’s continued commitment to providing resources to foster families, makes Ivey the perfect camper to kick off our 2019 Camper Spotlight series. In the camper spotlight, we will celebrate our 20th anniversary by checking in with current campers and alumni. As we get to know Ivey and other campers this year, we are reminded that Camp Kudzu’s community and family are its greatest asset! +If you could describe Camp Kudzu in one word, what would that word be? +What’s your favorite part about Camp Kudzu? +Did you know anyone who had Type 1 Diabetes before camp? +What’s one of your favorite memories of camp? +If you could only do one activity at camp, what would it be? +What’s been the most interesting thing you’ve learned, or the most helpful? +How do you describe Camp Kudzu to your friends at home/school? 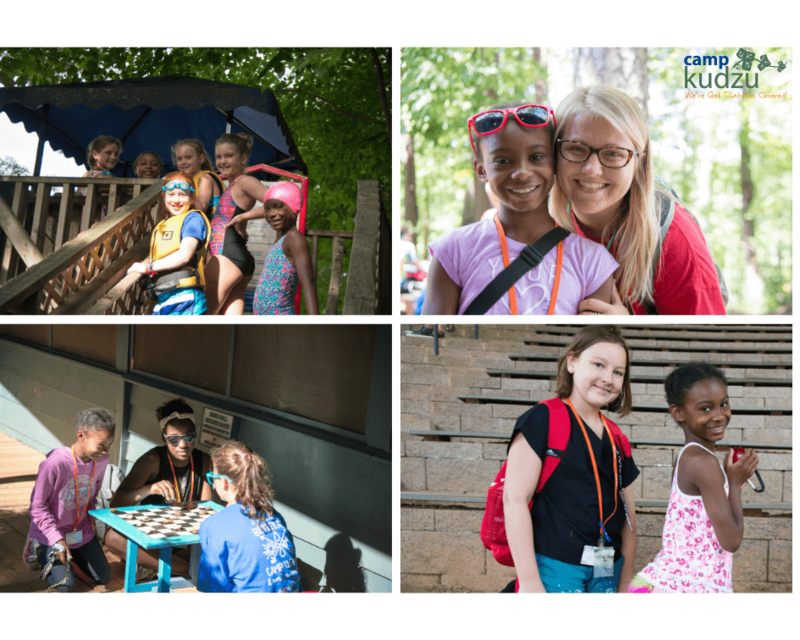 +What would you tell a potential camper about Camp Kudzu? Ivey is getting ready to attend her fourth summer at Camp Kudzu. Make sure you say hi when you see her!